Video will soon be available to all Facebook advertisers as a creative option for carousel ads. This gives advertisers the creative flexibility to leverage the most engaging and powerful format we have in News Feed. Carousel format is growing at a rapid pace, and adding video as a creative option can bring sight, sound and motion to help advertisers improve both their brand and direct-response objectives. You’ll be able to optimize your creative for the carousel format by adding a combination of up to 10 photos or videos. As only five cards will be displayed in an ad, you can select the option for our system to automatically optimize which creative will appear in the cards; otherwise, the first five photos or videos will appear in the carousel ad. The post also referred advertisers to the reference documentation for carousel ads and ad video, as well as the social network’s creative guide. 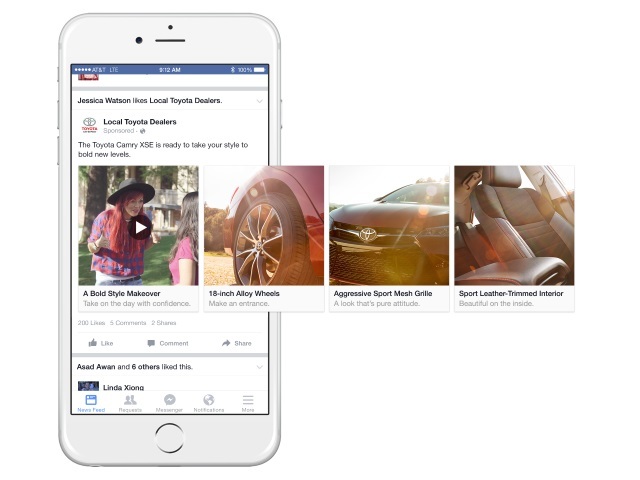 Readers: What are your thoughts on the addition of video to carousel ads on Facebook?